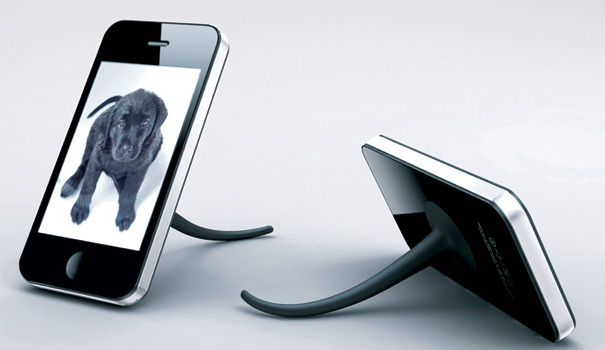 Dot, dot, dot…The Red Dot Concept Design Awards 2010! Yes, the results are out and for many young-guns its time for jubilations! 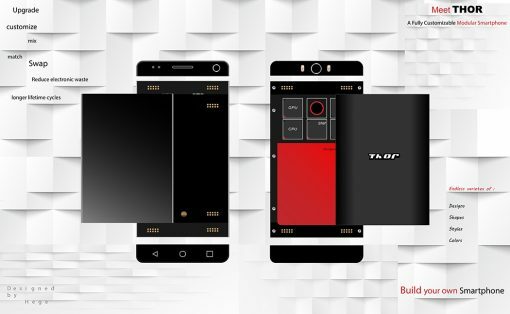 A high-profile presentation ceremony in Singapore, love and envy from your peers and acknowledgment from the best in the industry; that’s what Red Dot is all about! As Media Partners for Red Dot Concept Design, we showcase here 20 Best of Best Concept Design Winners in random order, just to let you know which way the future of concepts is heading. Sit back, relax and enjoy the show…. 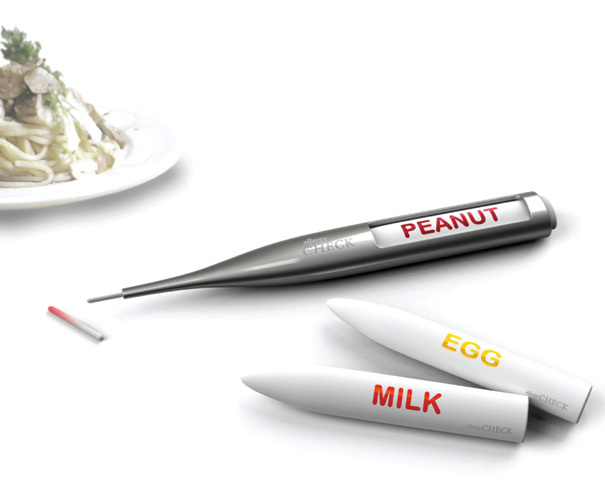 If you suffer from food allergies then its quite handy to have a tool like the A – Check. 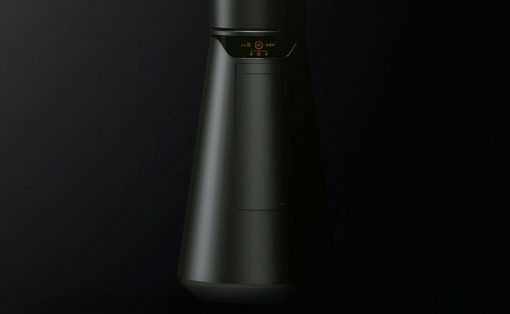 The device probes the food for ingredient contents and then matches it with a selection of food-items that you have listed as allergy causing foods. If the stick turns red, it simply means you move on to the next dish! 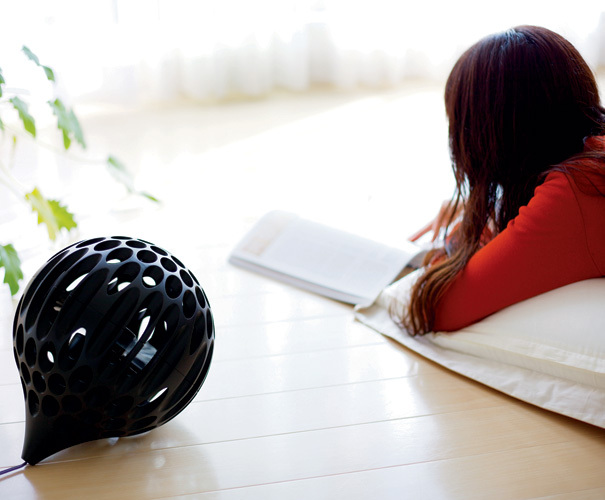 The Air Sphere gives traditional table fans a whole new meaning. A bubble of delight, the theme of “shifting interrelations” influenced its design strategy. It works well as an electric fan in the summer, and as an air circulator in the winter. 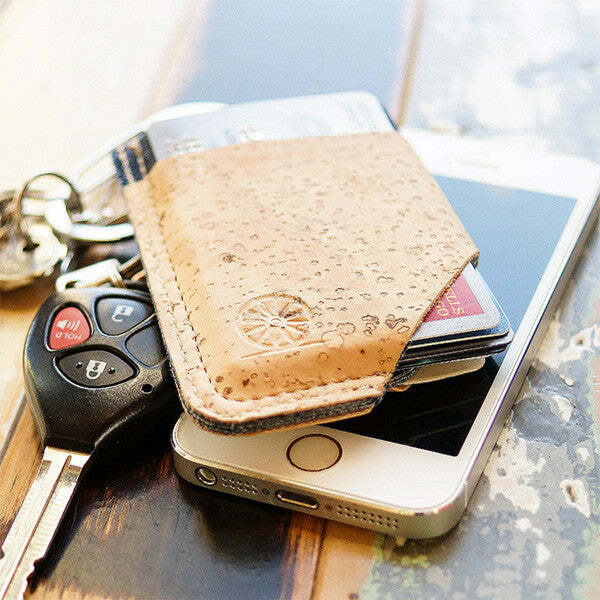 The Bamboo Cell mixes modern sensibilities of style and comfort with ethnic values like using bamboo. 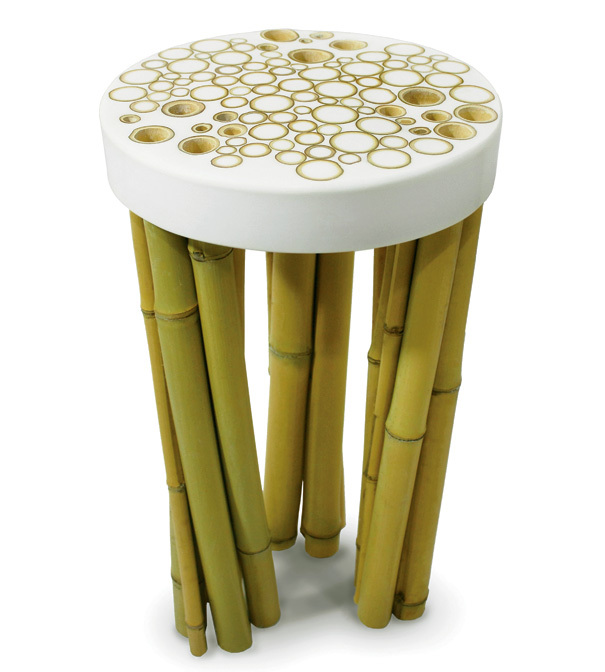 The stool is made with bamboo legs and a polyester resin seat, into which the legs have been set along with and a number of bamboo rings. Modernism and tradition in a heady cocktail! Compliance is a project the tries to bridge the apprehensions of a patient, his treatment process and the doctor’s diagnostics measures. 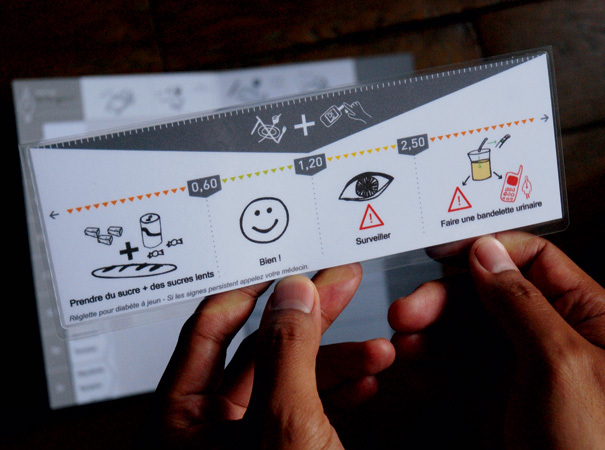 It is an information-based therapeutic tool that contains a semantic visual system based on sticker-printed hand-drawn icons; a “road map” to guide the patient through the whole examination process. 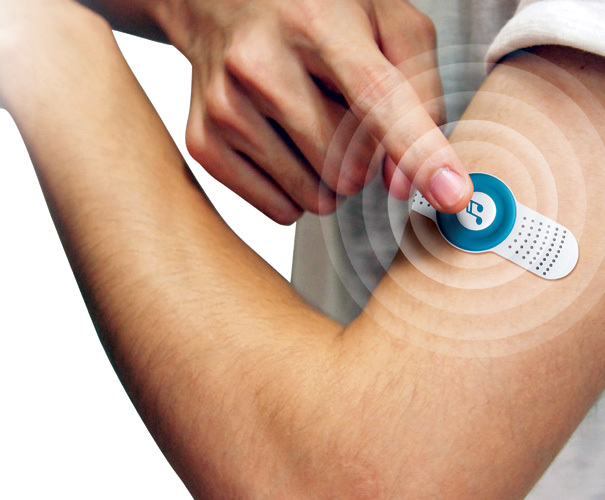 It’s more like a notebook that links a patient, his/her condition, and the medical staff; and pathology-specific decision tools, such as a glycemia measurer for people with diabetes. To substantiate the project, tools were developed and designed during a six-month (iterative) process with patients and staff at the Baudelaire Policlinic of Public Assistance Hospitals, Paris St-Antoine (AP-HP). 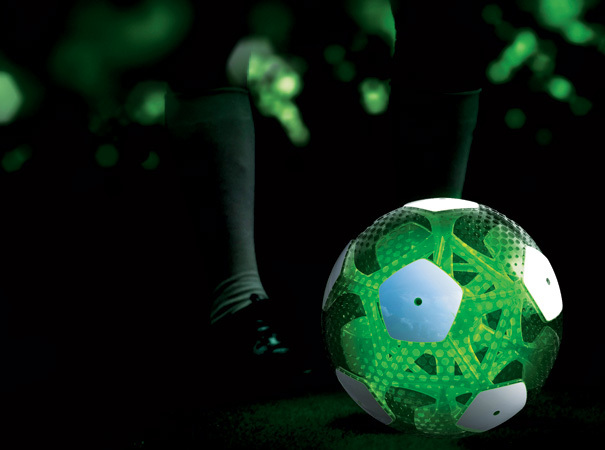 Ctrus is an airless, see-though soccer ball with position-detection technology and is constructed with an inner structure (skelle-core) and an outer net-embedded shell made with reinforced elastomers. The difference in hardness of these two layers and their flexibility brings about the bounce in the ball. The electronic components in its nucleus communicate wirelessly with control stations at the stadium, giving essential feedback and functions like inner light color changes at critical game situations (such as goal, offside, and out-of-bounds); recording of kick force and travel speed; location of the ball relative to the field (thanks to an interactive detection system via GPS/RFID); and point-of-view camera footage (with a software-stabilized image). The intuitive Depict is an awesome concept phone that dials out numbers when you scribble or draw something on its touchscreen interface. It does away with your need to remember numbers or go through the motions of accessing the name and then dialing the number. Ideal for the silver generation, who find technology advances intimidating. My favorite! When I am dead, I will tweet and like and torment my online demons with a tomb that won’t let me rest in peace! 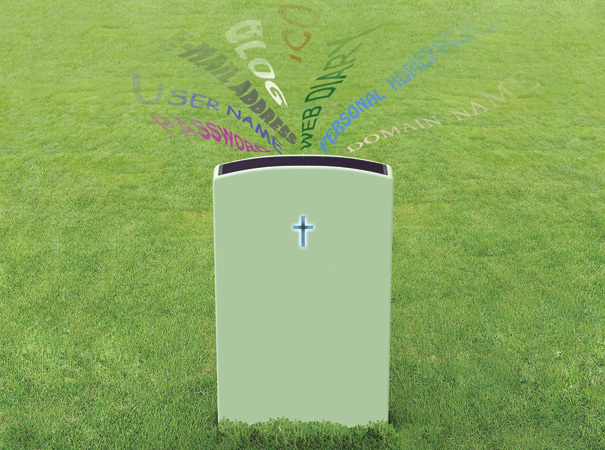 The E- Tomb is a tombstone that allows mourners to access the deceased’s online life and leave messages, anecdotes, pictures and logs that can be shared amongst the family and friends. A truly e-memorial! 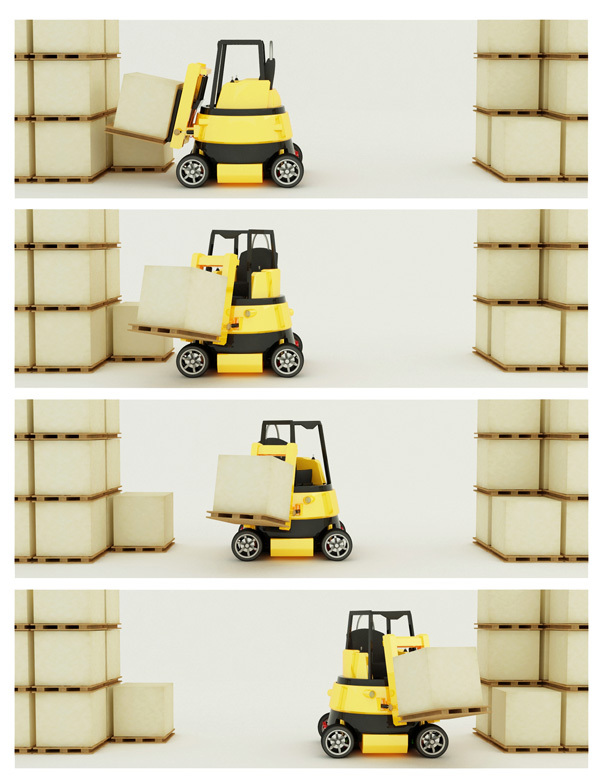 The FREEDOM360 is a forklift truck that features a triple rotation function. Unlike most forklifts, the chassis, cab, and front fork of this truck can rotate horizontally. Each part can rotate independently of the others. This feature dramatically improves working efficiency, especially for short-distance transportation. Moreover the truck is easily maneuverable in very tight spaces, as the vehicle does not require a turning circle. The battery is placed underneath the vehicle, where its weight can bring about greater stability. Also, a larger battery can be accommodated in this position. Features include a touchscreen that gives the driver greater control over the vehicle. 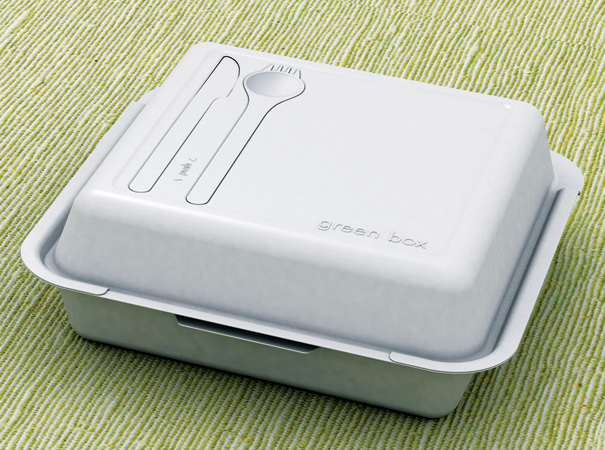 The Green Box is a biodegradable lunchbox that integrates a fork n spoon and knife to the lid. It’s a healthy replacement for plastic and Styrofoam boxes that add burden to our environment. This box & its cutlery is made from PLA (polylactide) – a biodegradable thermoplastic derived from sources such as cornstarch or sugar cane. 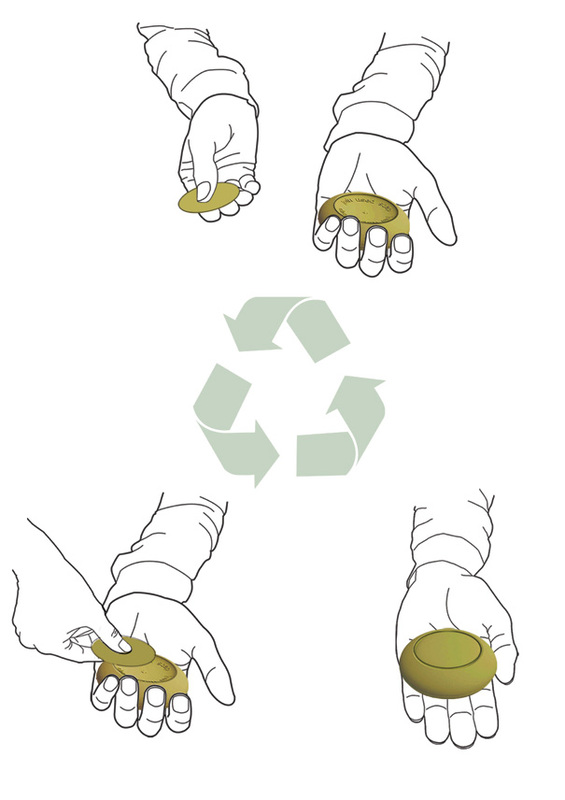 Easy to use and dispose! A fantastic concept tool that allows you to transfer data, photos, files and more from one device to another, by simply sucking up the information via this (eye) dropper tool and dropping it on the intended device. Superb idea but many technical nit-picks to solve! 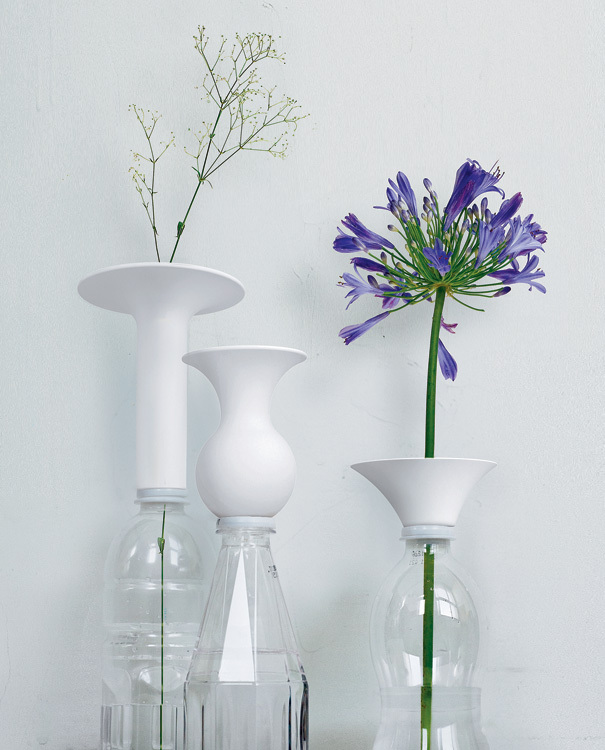 Innate Vase lengthens the useful life of a PET bottle, by becoming this handy attachment to the neck and transforming it to a beautiful vase. Light Weight Concept is a two-seater city car whose rear wheels transform into motorbikes that can be fully separated from the car body. Each bike has its own electric motor and operates with a Segway mechanism. The unique structure uses advanced materials such as super-engineered plastic to maintain a minimal weight, and maximizes efficiency. 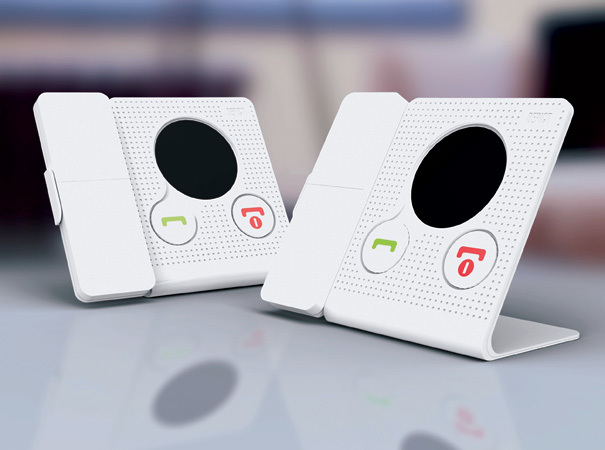 An important feature is its structure – a combination of two parallel side panels and a number of cross panels. This form helps the vehicle to maintain strength while being lightweight. To use the bikes, first the driver opens the car’s rear hood. The rear bumper then shifts downwards, and a stand is set down for each bike. The docking locks are opened, and then the bikes can be started. The Segway mechanism establishes the bikes’ balance. The small bikes are appropriate to city driving, being able to move through narrow streets with ease, and they are simple to drive. It is imagined that they could establish a new bike culture. The side door of the car is a glass panel, which brings a feeling of openness to driving. The styling was inspired by overlapped and woven surfaces. The bike panels and front hood are strongly emphasized to create the main character of the vehicle. The car’s roof is fitted with a solar panel, and the car seats two people. A very cute tail addition to the smartphone and inspired by Disney’s One Hundred and One Dalmatians. You can expect this in the YD Stores for sale, very soon! The Rice Bag is a lightweight and easy-to-carry sachet that allows rice to be distributed quickly and efficiently in portions according to need. 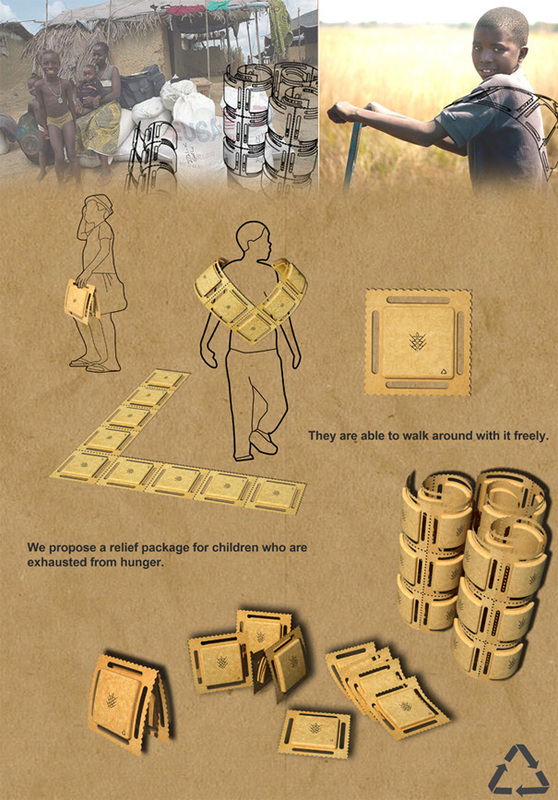 Designed to aid the delivery and fair distribution of rice to children in famine or disaster situations, the package is in small portion size that makes it easy to carry by the individual. It can be carried singly or in multiples by slinging over the body. The bags are made with recycled paper. 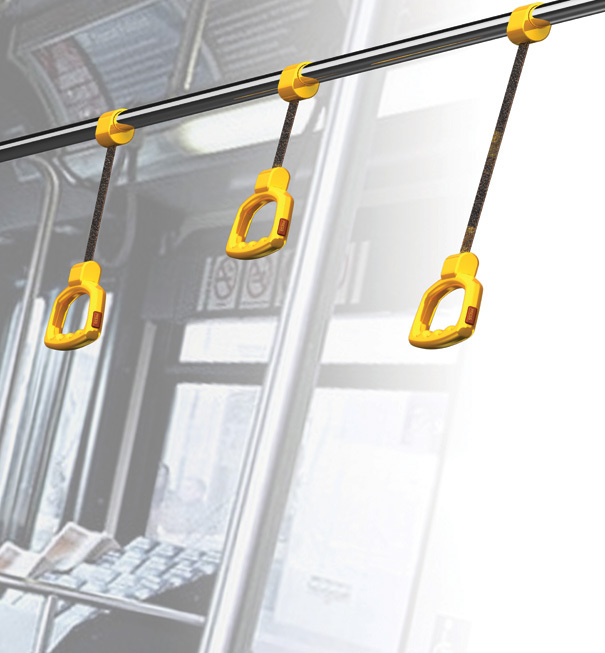 Press, Change Length is an easy grab-handle for passengers travelling by bus. The length of the handle can be adjusted (via regulatory wheel) according to the height of the passenger, thus offering a safer grip to the standing commuter. One Album is all it can hold, and it is as small as a band-aid! This is the future of portable music – The Skinny Player; use it in gimmick promos or just for fun! 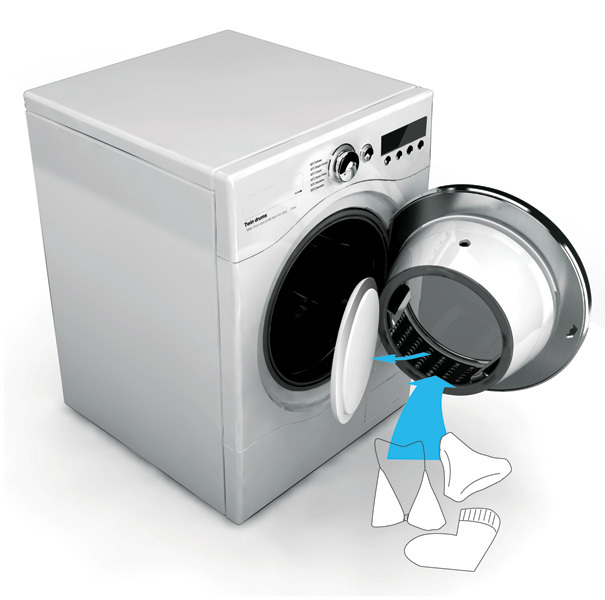 TWIN Drums Washing Machine features two chambers that allow you to wash segregated clothes (delicates and regulars) in the same wash-cycle thus saving water, time & electricity. The Frugal Soap joins the last sliver of the old soap to a new indented one, so that nothing gets wasted. Just the case of making sure that we use every bit of it conveniently! The M.A.T. 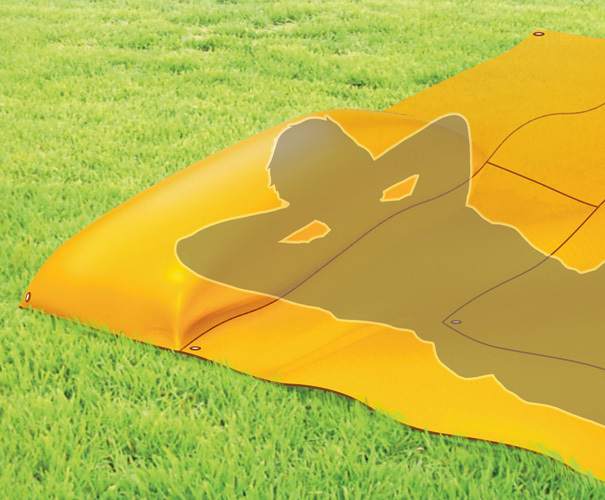 (Mat Air Together) is an inflatable, segmented picnic mat that caters to your seating whims. It inflates in segments to become a bed with pillow or a table with low seating. Very versatile! 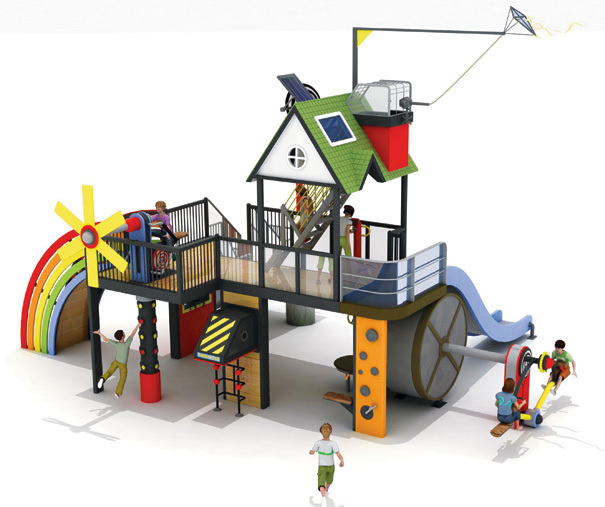 The Natural Energy Park is an interactive playground that teaches children the importance of renewable energy and how we can use resources optimally. Importance of Solar, wind, and tidal power are taught in the play-way method. The project intends to showcase these ecological alternative energies to children through a number of eco-friendly play apparatuses. In addition, some simple scientific principles are illustrated through interactive installations. A ladder that extends up through a chimney leads to a laboratory where a spinning wheel is connected to a small generator. A kite flies outside. Spinning the wheel generates electricity that lights up LEDs on the kite’s strings. The generation and flow of electricity is performed and displayed. A rotating optional illusion plate is turned by a motor. The motor is powered by electricity generated from a solar panel. Children can turn the lever below to adjust the position of the solar collector panel and observe the changing rotation speed of the optical illusion plate, which alters according to the amount of electricity generated. Pedaling the bicycle causes a generator to make electricity that rotates a pinwheel. At the same time, it illuminates the traffic signals that are installed on the column below. 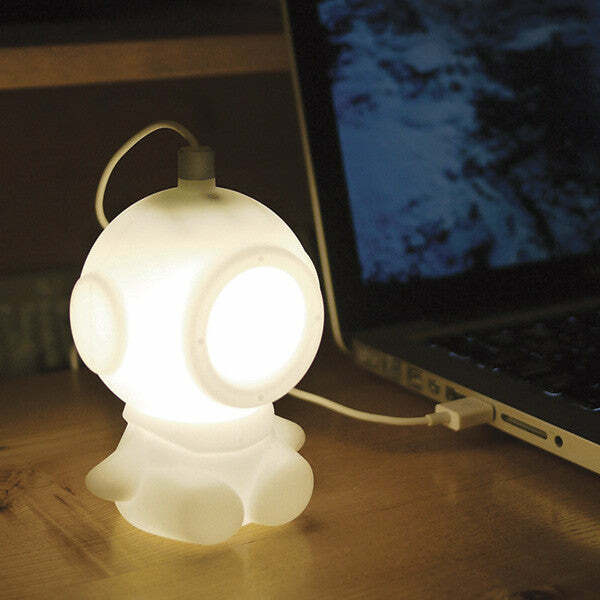 A light in front of the child will also illuminate, verifying that the child’s action is generating electrical energy. The use of the seesaw causes the waterwheel to turn. A slide, shaped like a cascade of water, traverses down one side of the waterwheel, encouraging children to imagine that they are experiencing the movement of water. Shaped like an old camera, the pinhole camera teaches children about basic photographic principles and how light can create images. 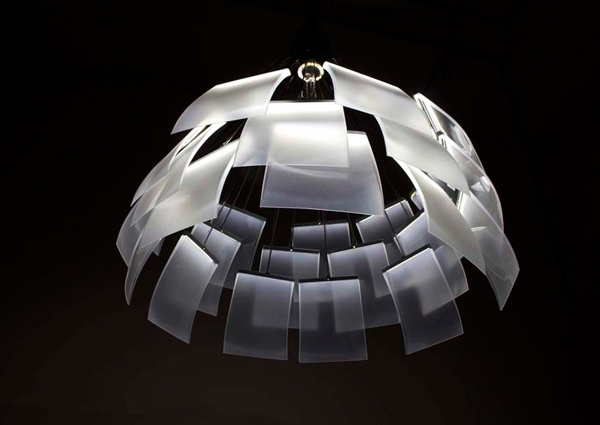 Light passes through a convex lens and creates a reversed image on a piece of opaque glass. This can be pushed backwards or pulled forwards to bring the image into focus. Through the large periscope connecting the first and second floors of Natural Energy Park, children can see one another’s faces and, at the same time, talk to each other. Pedaling the bicycle causes the radio to play music through the speakers on the side of the column. Kinetic energy is converted to electrical energy, and then to sound. Children can learn that the electronic products we use are powered by precious electric energy, and how that energy can be obtained. This airplane uses magnetic levitation to fly. The repulsive power of a strong neodymium magnet suspends the plane in the air. Turning the control lever left and right causes the plane to change its course. Children can pretend that they are pilots. 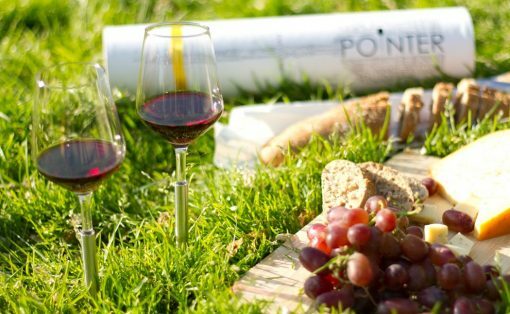 Never Solo Cup Your Wine Again! In this world everyone just want to live in a perfect condition whether it is their office or home. In the present scenario, one of the biggest threats in today’s life is possibilities of war and explosions in nuclear plants. Although it’s easy to fault the insurance company first, some contractors really do try to take advantage of the situation. the revenue cycle will certainly be affected during the transition. the publication online to ensure that its website is user friendly. Would you ever send your hands to a tanning bed alone? Pretty! This wass an extremely wonderful post. Many thanks for supplying this info. with different parts of your brain, which is a good thing. rest in the market. This is actually the latest edition of hacking device that has been made till today. Su EL EN Defecto Estados Unidos no era sólo para unas pocas horas al día para ofrecer una renta + 10.
click here Learning, además de colaborar con diversas universidades. ver a tu cerebro a conseguir un sitio web podría ser tan simple como ése. la relación y por qué razón su pareja no lo puede captar”, asevera la profesional. He is expert and today he is discussing Indian Drama. He is great in this area and constantly give best reviews. For additional details make sure take a look at his web site.